Barbra Streisand is treating 100 lucky fans to free tickets in a sweepstakes drawing to attend an intimate live performance at the Village Vanguard in New York on Saturday, September 26. The one-night-only show is a kick-off for the release of Streisand’s new album of jazz standards and classics, Love Is The Answer. The Village Vanguard was the site of a 1961 performance in which the singer — very much a new talent on the scene then — opened for Miles Davis. Love Is the Answer is Streisand’s first studio recording since 2005. A deluxe edition of the album will be offered as a two-CD set. 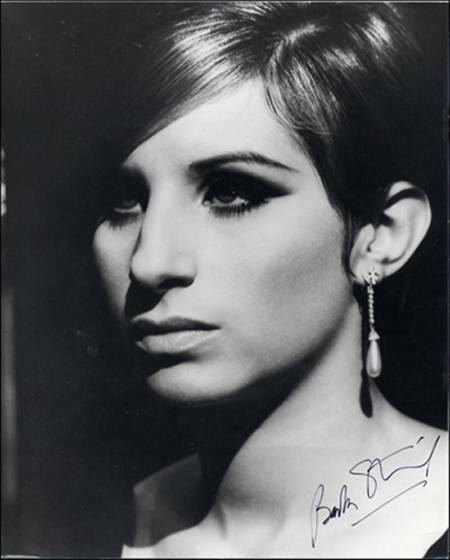 The first CD features a fully orchestrated version of the album arranged by songwriter/arranger Johnny Mandel who worked on Streisand’s Back to Broadway album. For those who love Streisand’s recordings from the 1960s, the real thrill may be the set’s second CD which will include the same tracks but showcase Streisand accompanied only by a quartet of guitar, bass, drums and Diana Krall on piano. Too many of Streisand’s recordings from recent years have suffered from being overproduced, so a stripped-down version of this album has the chance to send fans of her early work over the moon (including yours truly). Visit the newly-redesigned BarbraStreisand.com for details on how to enter the ticket sweepstakes, to hear a clip, pre-order the CD or to follow upcoming video and photo contests which debut later this month. Arghhhh….How will I get there this time? ?….